This Sunday 7 April, the United Nations' World Health Organisation calls for universal health coverage on World Health Day. 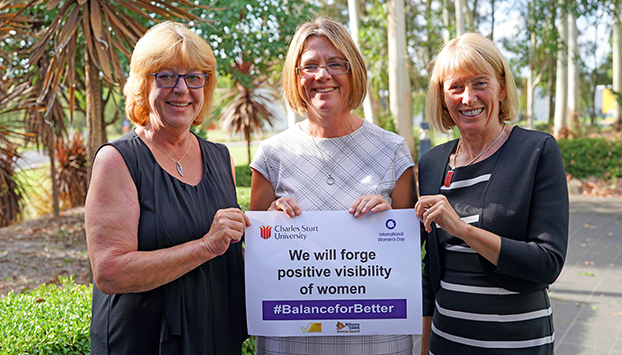 Charles Sturt University leads in educating students in regional areas and delivering research outcomes focused on rural and regional health concerns. With the announcement of federal funding this week for the joint CSU and WSU Institute for Regional, Rural and Remote Health and Medical Research, and Charles Sturt’s partnership with Royal Far West focused on rural children’s health, Charles Sturt is more committed than ever to creating meaningful change in health care in the regions: developing critical knowledge, providing education, creating health professionals and delivering services that support local communities. 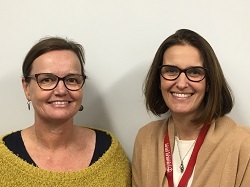 In honour of World Health Day, our health experts across a range of schools reflect on the particular challenges of health care in rural and regional Australia and the ways in which Charles Sturt University is helping to address them. There’s a lot of challenges for people living in rural Australia but probably the one people are most familiar with is distance. So, the distance between where people live and their closest health provider, and particularly the distance between where people live and their access to specialist care services. In addition to that impact of distance, when people do need to access those services, there’s additional costs associated – people need to leave their communities and their families behind. It’s a big decision for people to go and access health services. As a result, people leave it much later to access health services and by the time they actually get to see a doctor, or a therapist, the condition is already in an advanced stage and it brings with it lots of secondary problems. We’re not getting in early enough to identify medical conditions when they first happen and so there is an increasing burden of care. People living in rural areas are at higher risk of cardiovascular disease, they are at higher risk of stroke and higher risk of diabetes. We know that people in rural areas have a higher exposure to injury – working on farms, in mining and motor vehicle accidents. Often they are working age, so there is a flow on effect to their families and the community. Mental health of people in rural areas is also significantly affected. We’re going through drought and it puts huge pressure on families and individuals.The combination of mental health, physical health and access to services creates a complex set of issues for people living in rural NSW and more broadly. “Cancer is often described as uncontrolled growth of abnormal cells which destroys healthy tissue. Cancer statistics in Australia reflect a similar uncontrolled growth pattern. More and more Australians are being diagnosed with cancer each year, however the mortality rate from this disease is reducing. Community awareness through increased advertising campaigns, increased quality in diagnosis and detection technologies, and ultimately availability of quality and cutting edge treatments play a huge part in reducing the mortality rate. It wasn’t that long ago that to receive this treatment traveling to a metropolitan hospital was the only option, and sadly with that some regional Australians made the gut-wrenching decision to decline this treatment. These days there are a handful of regional radiation therapy treatment centres available to help fill the void. Staffing became a concern as those trained in the larger metropolitan Universities would seem to bide their time locally until they could return home. This led to a high turnover of staffing and whilst the level of care given to the patients in regional centres did not fall, it had the potential to reduce the capacity of the sites to take local patients. 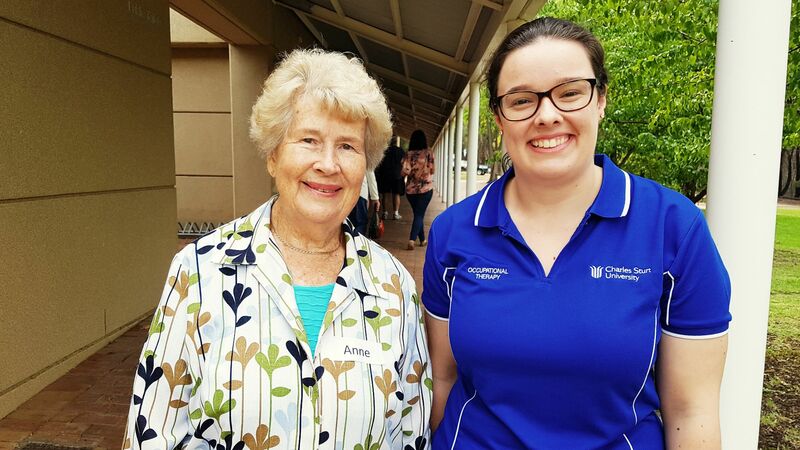 With the introduction of the Radiation Therapy course at CSU in Wagga, the opportunity to train locals to remain local came about. Like Newcastle University before us, by training regional students we are ensuring that the local workforce remains able to expand with the growing needs of regional Australia. Whilst we may not be able to control the growth, we can certainly have an impact on the outcomes. “Planning for the health and care needs of older adults has become an increasingly important response to Australia’s rapidly ageing population. A significant issue impacting the provision of care in rural Australia is that health and aged care policy tends to be developed with urban areas in mind. As a result, policies tend to make assumptions about the availability of both formal services and of geographically convenient relatives to assist with informal care. Limited infrastructure and long-term trends of inter-generational relocation, however, can mean these assumptions are problematic for older adults and service providers in many rural and regional communities across Australia. These discrepancies in health equality for older rural Australians became increasingly apparent during recent reforms to aged care, which introduced individualised funding and consumer-directed care as the new direction for aged care in Australia. These major reforms promote increased consumer autonomy, encouraging older adults to have greater control over who provides their chosen support needs in later life. In principle, these changes present a great opportunity for more choice and flexibility around health care. The challenges of geographic distance and limited alternatives in rural areas, however, reduces the ability for these promises to become a reality for many rural older adults. Although policy often acknowledges these complexities for rural Australians, there are few meaningful strategies in place to address these structural limitations. “Access to dental services in rural and remote areas has always been a challenge for many, along with the costs associated and long wait lists in the public system. Oral Health Therapists are dental practitioners that are assisting to fill that gaps in these regions of Australia. As a University, we endeavour to send our students into rural and remote areas for periods of placement and allow them to immerse themselves in areas that require urgent care. Through the use of this program we are reaching more people, assisting to reduce public waiting lists and deliver quality dental care and health promotion to areas that may otherwise miss out in comparison to their metropolitan counterparts.